This edition of the Collector's Corner was written by Kieran Lang! 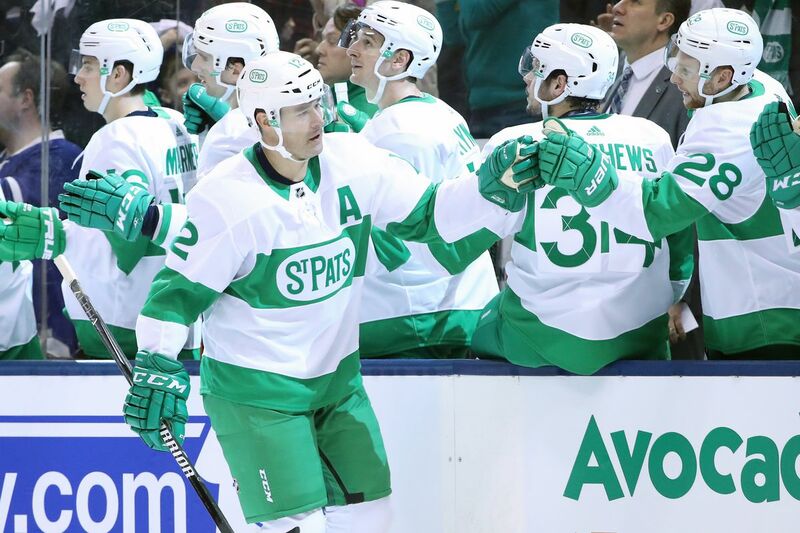 The Maple Leafs decided to bring this beautiful jersey back for St. Patrick's Day, announcing it just a couple of weeks ago and wearing it this weekend. This jersey looks fantastic and was incredible on the ice with the full uniform. Adidas did a great job by not changing it up too much from the original but still modernized it in such a way that the Adidas dimpled shoulders look great. I think this should be added to the jersey rotation full time. 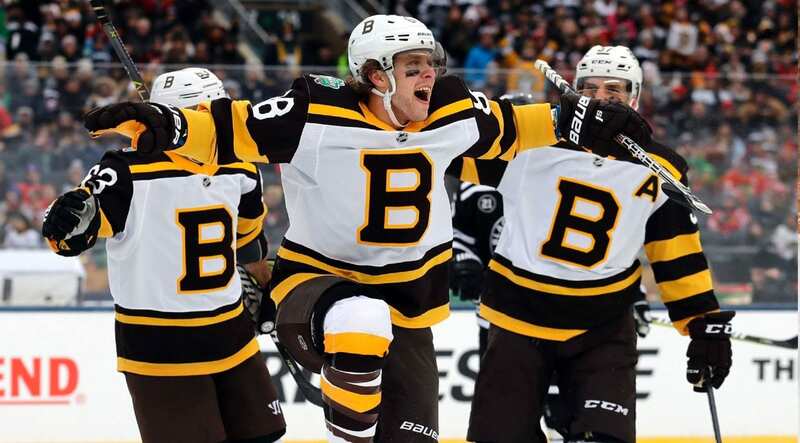 The Bruins Winter Classic jersey are a beautiful throwback to their jerseys from the 30s. This jersey works incredibly well as an homage to their past uniforms and could even be added to their jersey line-up full-time as a third. The throwback style was perfectly executed and uses the big stripes on the sleeves which isn't too common anymore. Nowadays we see a lot of thin stripes on sleeve patterns and bringing back the thick stripes was a great move. These Winter Classic throwbacks were the best idea the Blackhawks could have come up with, especially having so many Winter Classic jerseys from years past. This jersey, like the Bruins Winter Classic jersey, pays tribute to jerseys from the teams' past. A modern version of the Hawks black and white jerseys from the 20s and early 30s, these made one half of what made this years' Winter Classic so appealing to jersey collectors. The white outline around the black logo for the center of the chest looks great and works really well with the black jersey with white stripes. The Winnipeg Jets brought back an Adidas version of the throwback they used in the Heritage Classic in 2017. These jerseys blended the modern Jets and the Jets of past for the perfect throwback for this franchise. I think a lot of people feel this needs to be added as a second alternate. The Carolina Hurricanes made the perfect move this season when they announced the return of the Hartford Whalers jerseys. This jersey has a marvelous color scheme and the design of the jersey itself is a simple, yet gorgeous design. The announcement of the Whalers night in Carolina had a lot of people excited and turned out incredibly. Hopefully, Carolina can fully embrace the Whaler identity and continue to bring back Whalers themed alternates for the foreseeable future. Want to guest write for the CoolHockey blog? Check out this post and you could receive $50 toward your next purchase just for writing about jerseys!